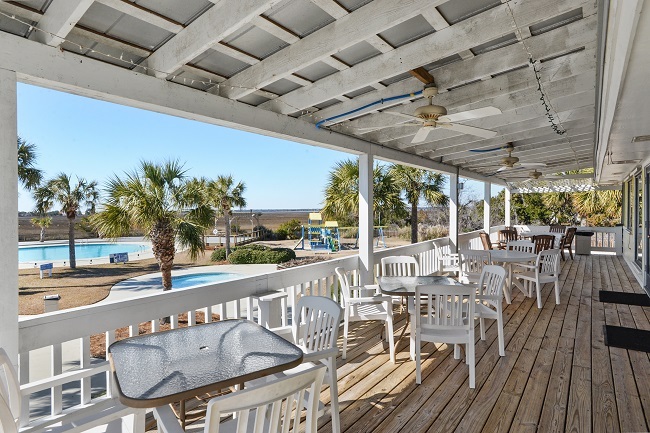 10 Shipwatch Drive is located on the gated beach community of Harbor Island, South Carolina. Shipwatch Drive is a small, quiet street that is easily accessible from North Harbor Drive. Harbor Island neighbors Fripp Island, and is just a few minutes from Hunting Island State Park. Historic Beaufort, Henry C Chambers Waterfront Park, and the neighboring town of Ladys Island is less than half an hour away. 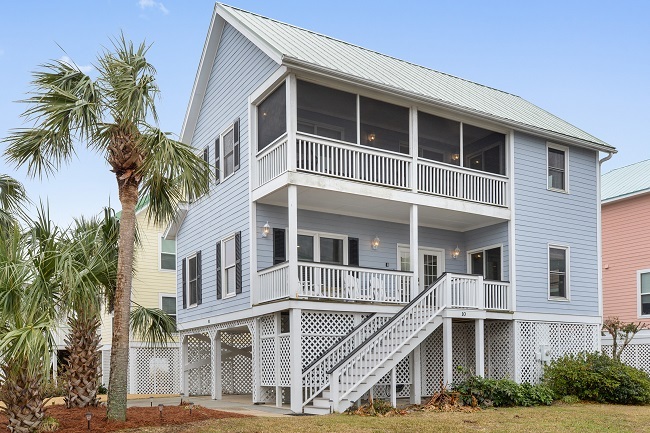 10 Shipwatch Drive is an impressive beach house that enjoys three bedrooms, two full bathrooms, and is equipped with everything you may need on your next beach vacation, including an outdoor shower and a gas grill. 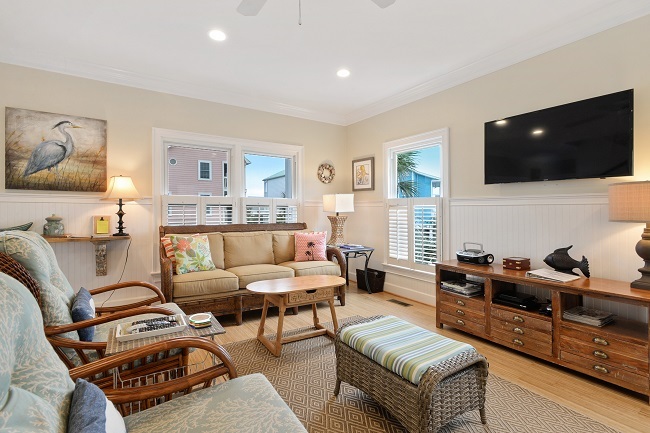 It is approximately 1700 square feet with hardwood floors in the main living areas and carpeted bedrooms. 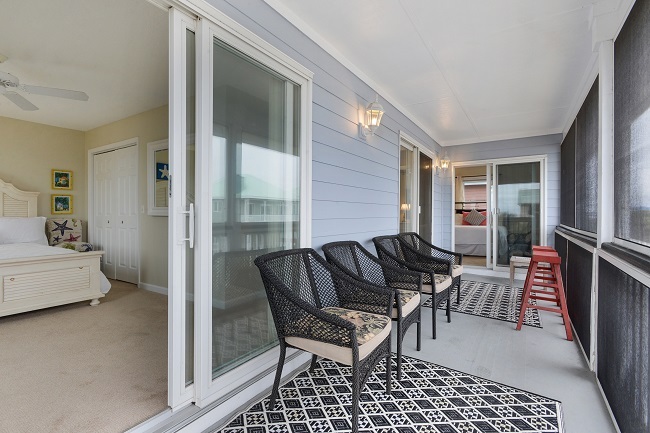 Each bedroom has access to a screen porch with a gorgeous view. There is a full kitchen, comfy seating and a big flat screen TV in the living room, and attractive decor throughout the home. Each bedroom also has a flat screen cable TV. Wifi is also provided for guests. Wash your clothes conveniently from the full size stacking washer and dryer on the main floor. Harbor Island offers great amenities including fitness center, tennis, basketball, volleyball, and community pool. Bike rentals are offered, as well as snacks at the snack bar. The island has over two miles of pristine beach. There are several boardwalks to access the beach as well.